With the weather being so hot, Madison has been hanging out in the basement to keep cool. 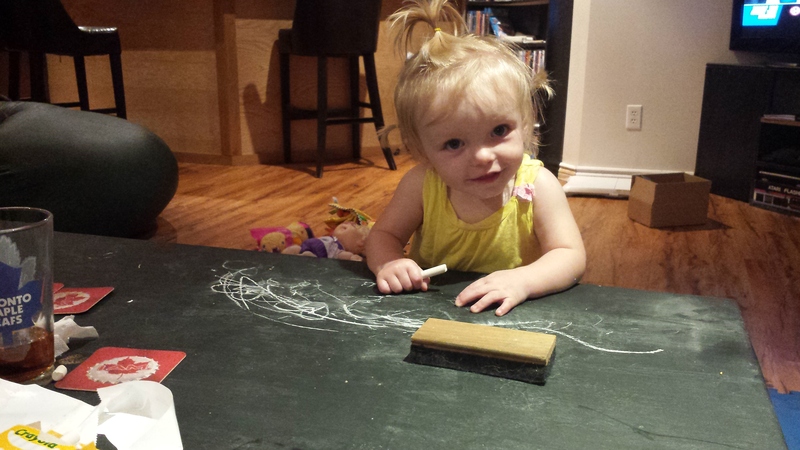 Today we discovered that the chalkboard coffee table is the perfect height for her. She held on and walked all around it and loved drawing with chalk on it. She had a few spills so Dada ended up padding the floor around the table with mats. 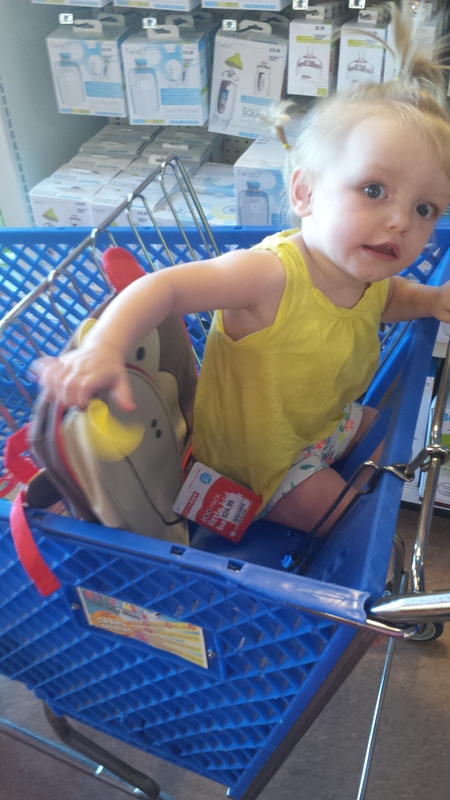 Madison also went shopping today to pick up her new backpack for the new program she is starting at the end of August. We were not surprised that she picked the monkey one. Madison spent her afternoon with Ben at March of Dimes. They are both working so hard and improving each class. 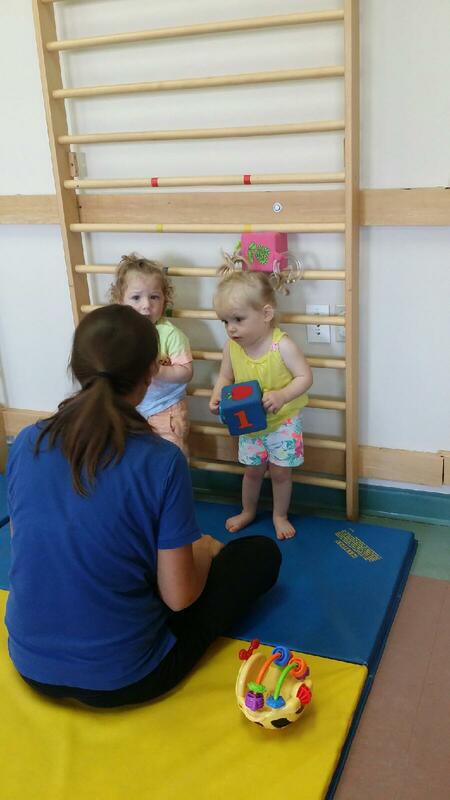 Their confidence with independent standing has grown so much! Thursday will be the last class for a few weeks.